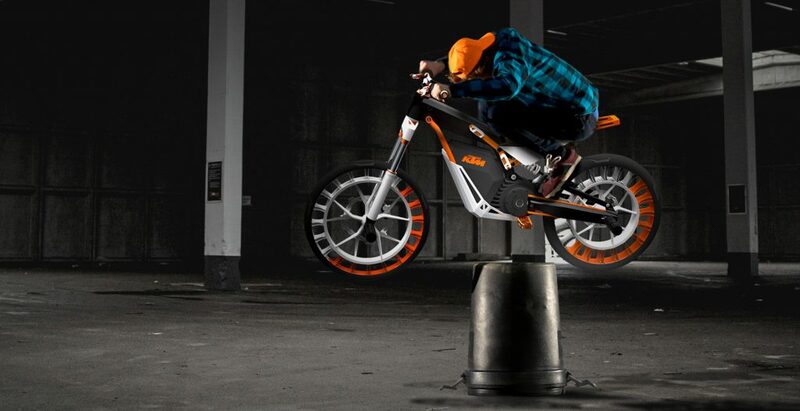 360 STUNT BIKE, is an extremely weight-reduced and silent electric stunt bike, obstacle can be taken easily. 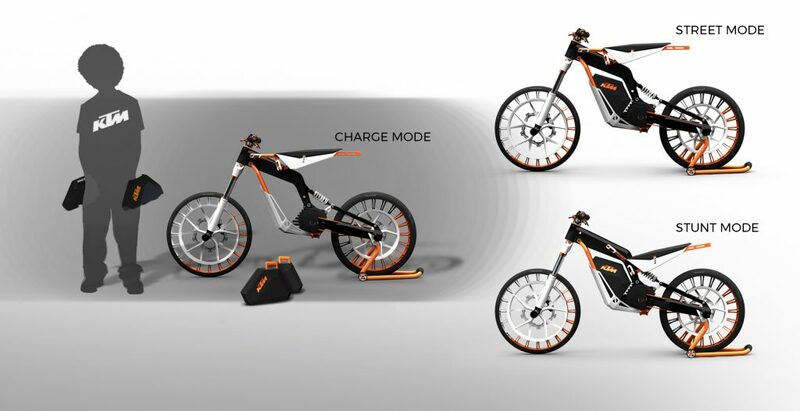 This is guaranteed by a 360 degree flippable fork, front and back pegs, thumb brakes and the weight reduced construction. 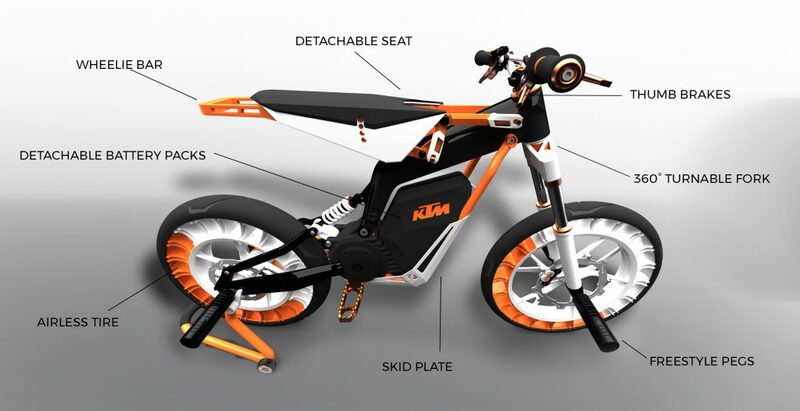 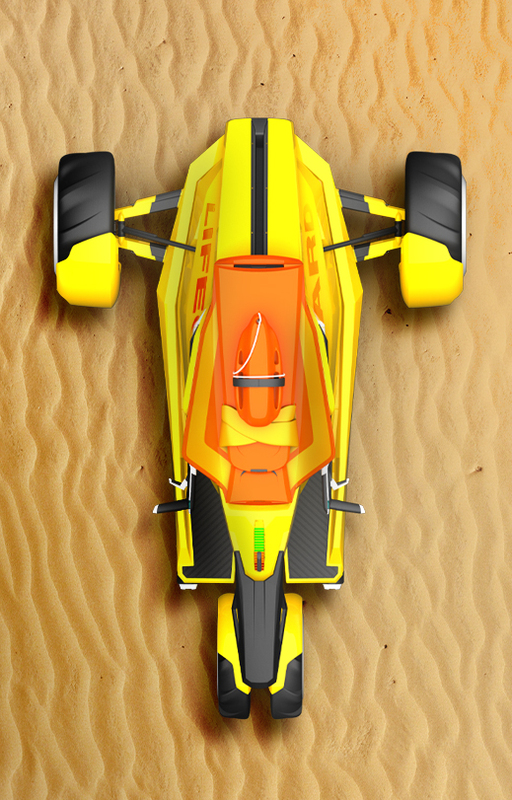 Its special seat concept offers both, a stunt mode and a street mode.